During two days this International fest unites art and science, the man and the machine. Give hope to people who cannot afford an expensive prosthesis (indeed, the cost and functions of this prosthesis are main factors that attract consumers). – Thomas Kapikovitch, assistant / camera-man – followed the team, captured all the events during the fest. We tested new functions of the hand, you can find a technical report HERE. InMoov was near us and as usually, he was in the spotlight; together with Gaël Langevin (more known as InMoov) we told Russian visitors (there was about 50 of them) about our projects. Elena interpreted all this. By the way, she did it very well. Gaël presented us with the newly developed hand model – a gift that fills our project with energy! Then we talked with visitors and answered their questions. The possibility to speak using two languages was something! Two Russians from the company CanTouch that we had met at Moscow Geek Picnic (January 2014) came to see us. They gave us a 3D-printed mechanic hand created by students from Galileo University in Guatemala (we met them this year at San-Mateo Maker Faire, California). So, we met them in the USA, and then the hand was assembled and presented to us in Russia! 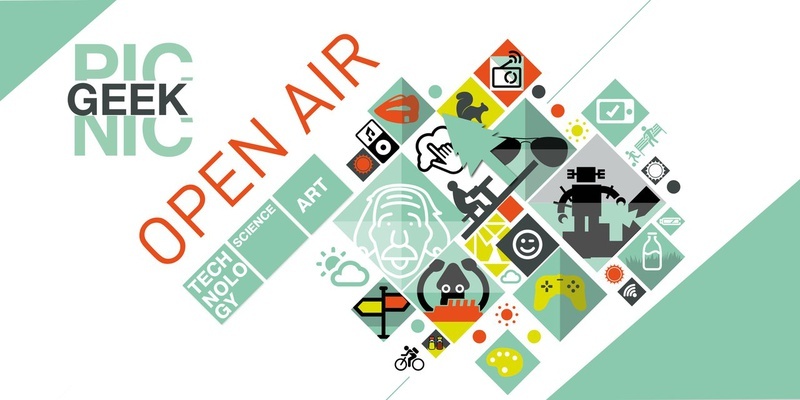 – Merci to the Open source community! –Spacibo to Ali and Carlos! 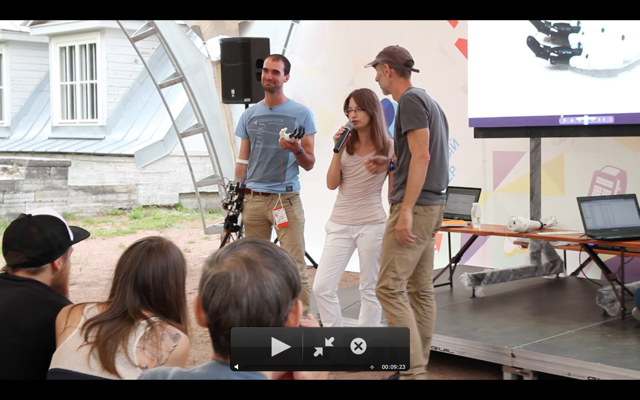 The festival was very useful for us because we made contacts with the Fablab of St. Petersburg Polytechnic University. This Lab was founded 2 years ago and it also develops robotized hands. We participated at this festival for the second time and now we know its organizers – Natasha and Nkolai who really liked the idea of our project. Anyway, to put it short: Russia is great and Russians are beautiful (and vice versa). The weather was good and we took lots of pics. Thanks to the organizers and to volunteers Nika and Elena and to both Thomases! Hello, Europe! 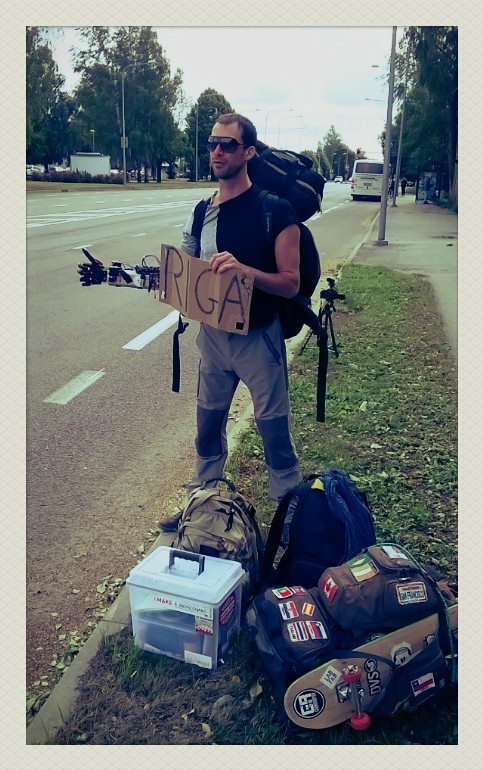 After the Geek Picnic, we hit the road with Kapikovitch for a trip in the Baltic countries, but that’s an other story…..